Link Global Management can provide a full range of payroll services in Myanmar. The individual will be engaged on our payroll and income is paid in the form of salary, allowances and expenses, the proportion of each part depending on individual circumstances. Link Global Management will discuss your personal circumstances with you and help you to minimise your tax and social security liabilities, within the boundaries of Myanma/Burmese legislation. Income is managed tax efficiently, not just in Myanmar but also in any other country where there may be a liability. A tax return is filed each year in Myanmar with advice and assistance from Link Global Management who will also provide help with filing tax returns elsewhere, if required. Individuals are considered Resident Foreigners if they are foreigners and if they reside in Myanmar for a period or periods aggregating 183 days or more during a tax year. However, regardless of the 183 -days threshold rule, if a foreigner earns income from working in a company under a Myanmar Foreign Investment Law (MFIL) permit, the foreigner is automatically regarded as a Resident Foreigner. A resident foreigner will pay progressive tax rates from 1 to 20% on employment income. A nonresident foreigner will pay a flat rate 35%. All resident and nonresident individuals earning income from sources in Myanmar are subject to personal income tax (PIT). A Myanmar resident is also subject to PIT on self-employment and business income from overseas sources. An annual standard allowance of 20% is provided for each class of income, but the total relief for a year may not exceed MMK 1,444,000. 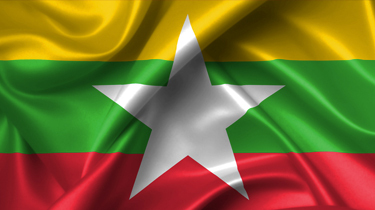 Thinking of contracting in Myanmar?